Remember this post where I did a fast forward from my old Apple IIe computer which had a whopping 2x 128 kbyte floppy storage space (and no harddisk of course), to the current technology we have at hand? Well, this week, I took another leap forward. For ages, I was struggling with my 30 Gbyte harddisk. Download a movie, and 1 Gb is gone. I like to store my pictures in their original resolution, eating 500 kbyte per per picture. 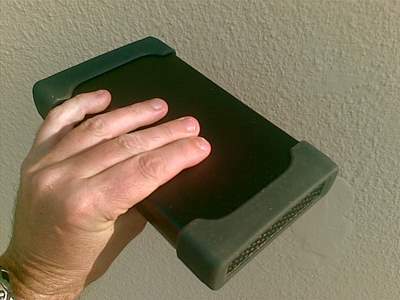 For a while, I used my 60 Gbyte iPod as external harddrive, but I outgrew that quickly. And you know the best part? I paid only about US$75 for it, here in a local shop. I come home, plug in the power supply, connect it to my computer via the USB cable, and I am ready to rock and roll... One Terabyte... Let those movies come to daddy, baby! Another geeky discovery this week was Evernote. This free desktop and web utility lets you cut and paste anything you find on the web, anything on your screen, anything in a file, into nifty little notes, which you can organise in folders. It stores text, pictures, video and links. You can edit the each note to your heart's content. The desktop tool synchronizes automatically with your web-based account so you can access your notes from any computer. It also comes with a browser plug in, allowing you to easily grab anything from the web and store it in a note. 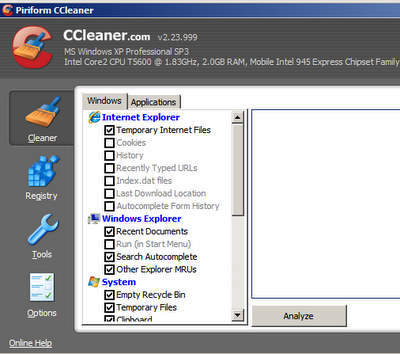 The last tip for the week is CCleaner, a free Windows utility that cleans up all temporary and unused files, and performs a health check on my Windows registry by removing all unused references which programs and utilities leave behind when uninstalling. CCleaner found about 150 unused entries on my computer. Starting up Windows goes a lot faster since I used it. I talked to my brother who is a computer engineer, and he says the technology which makes the 1TB disks isn't really stable at the moment. I would say if you have 1TB of personal information stored in one place, that's a lot to lose if it goes wrong. I wouldn't go for that, I've actually lost two HD's in the past two years. Both Maxtor, one 300gb and one 1TB. I also had a seagate 500GB die earlier this year, but that was after it fell off a table, so although they should be tougher than that, I guess I was unlucky. The best solution I have found, (I run a radio station, so we have loads of big files to save every day) is Amazon SE online storage, which is stored in multiple servers. This means that if one server goes down, your data is still safe on another one. It's dirt cheap, and sits in your "My Computer" area like another HD. I was a bit hesitant at first, because I don't have much money and don't like to commit. but it really is very very cheap. So that would be my recommendation, unless you are going out in the field and can't get internet. I think that is an excellent solution. At this moment I dont have critical data on the external drive, mostly backups from my other computers (touch wood disaster does not strike twice), but as I put more stuff on it, I might just as well look at Amazon SE!